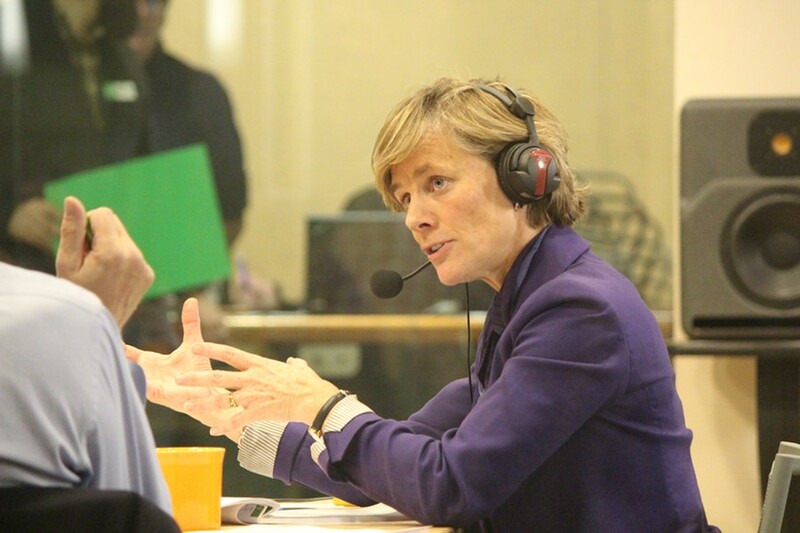 Sue Minter debates Thursday evening at VPR’s Colchester studios. With five days remaining in their close race to become Vermont’s next governor, Democrat Sue Minter and Republican Phil Scott engaged in a scrappy final debate Thursday night at Vermont Public Radio’s Colchester studios. The debate’s most spirited moments came when the three candidates were given the chance to pose questions to one another. Minter asked Scott why he would not join her call for universal background checks on gun sales. When Scott responded, “It isn’t the gun, it’s the violence,” Minter fired back. 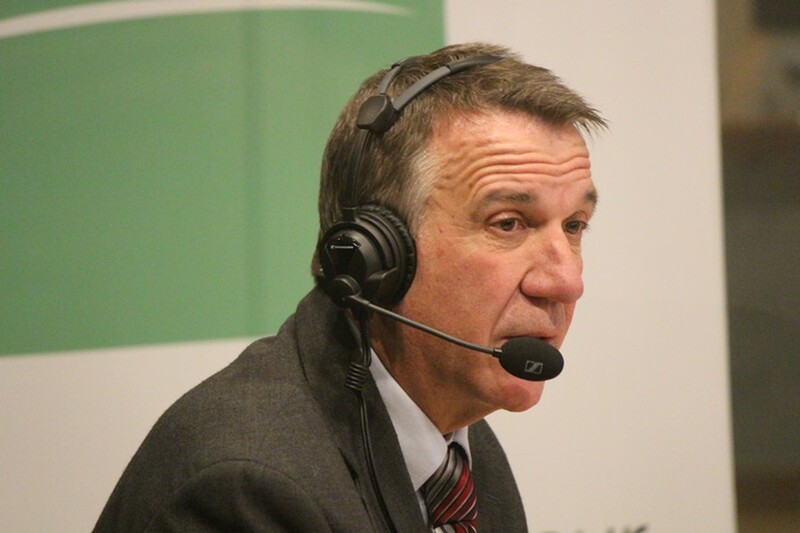 Phil Scott debates Thursday evening at VPR’s Colchester studios. The two went at it again over another well-worn topic: taxes. Scott asked Minter, as he has in previous debates, whether she would veto a carbon tax. “Climate change is real and it is here,” Minter said in response. “It’s a simple yes or no,” Scott interjected. 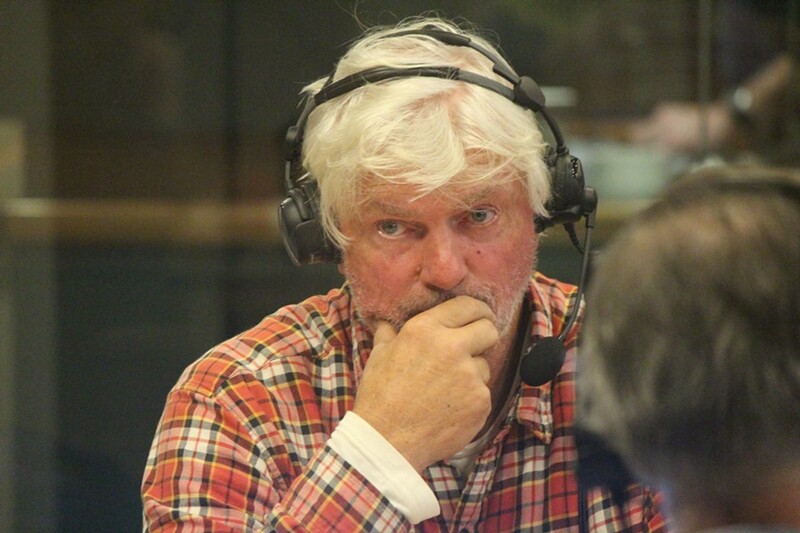 “About climate change?” Minter asked. “No, about the carbon tax,” Scott said. In previous debates, Minter has said that she would not pursue a tax on carbon, but she has refused to unequivocally state that she would veto such a bill if it arrived on her desk. That continued Thursday, even after the debate, as reporters pressed her on the question while she walked to a waiting car. At the start of Thursday’s debate, VPR’s Bob Kinzel asked the candidates whether they stood by negative television advertisements being aired on their behalf by outside organizations. Among the toughest have been a pair produced by the Planned Parenthood Vermont Action Fund questioning Scott’s commitment to abortion rights and highlighting his support from the Vermont Right to Life Committee. Minter declined to repudiate the ads, instead using the question to restate the message behind them. 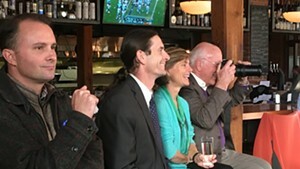 “I think now, more than ever, Vermonters want a governor who always has, always will stand strong for a woman’s right to choose without restrictions,” she said, referring to Scott’s opposition to late-term abortions and his support for parental notification laws. Scott, in turn, condemned a series of ads sponsored by the Republican Governors Association, including one that depicts Minter as a bobblehead doll nodding in agreement with retiring Democratic Gov. Peter Shumlin. Scott persisted in questioning Minter about taxes, asking if she planned to renew an existing sales tax exemption on aircraft parts, set to expire next year. He argued that the exemption has fueled technical education programs. Minter was determined not to give a specific answer. “I will look at it as I will with any proposal: how it affects the middle class,” she said. For the past two months, Minter has cited jet planes as an example of something she would be willing to tax, reasoning that they benefit the wealthy. Last week, she told Seven Days she wasn’t sure what sort of jet tax she was referring to, then clarified that she would tax charter flights, not aircraft parts. At Thursday’s debate, however, she again left her proposal vague. Instead, Minter turned the tax question against Scott, arguing that his plan to look for a penny of savings on every dollar comes from Republican presidential candidate Donald Trump’s website. “I don’t think it’s real governance,” she said. The two also dueled over college education. Minter pointed out that Scott had said in a 40-page economic development plan he released in July that he would be coming out with an education quality plan. “Is this a plan that is a secret?” she asked. Scott denied he had promised such a thing, though he praised her for reading and, he alleged, for borrowing from his plan.